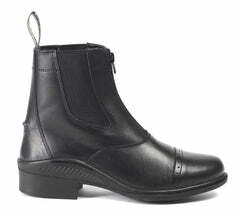 No off the shelf boot can quite compare to the fit and feel of boots made especially for you. 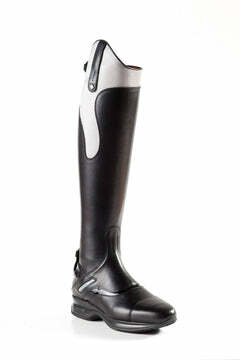 Made to measure riding boots not only look and feel better, they also perform better. 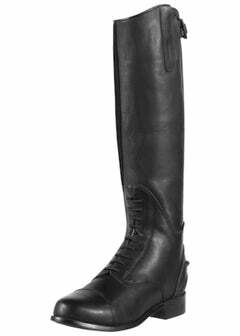 Whether you are Showjumping round a 1.40m course or doing your first local Dressage competition, a good pair of horse riding boots is a clever investment. 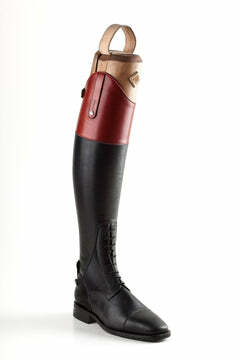 At The Riding Boot Co. we are made to measure experts who understand the need for top quality customer service. Our experts will safely guide you through every step of the order process - keeping you informed the whole way through. 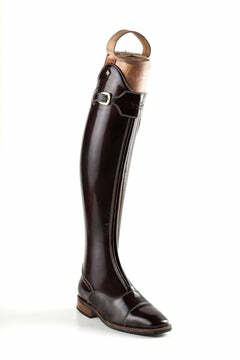 We bring a wealth of measuring and fitting experience gained through years of successful bespoke riding boot orders. 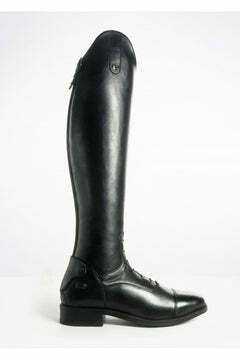 We also believe in keeping things simple - ordering a pair of beautiful horse riding boots should not be difficult. So with that in mind, we have condensed it to this 4 step process. 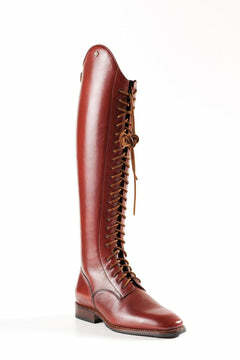 Browse through our unique made to measure sections and find your perfect pair of boots. Use our easy fitting guide to get the right measurements. We talk your through everything and it takes less than 5 minutes, we promise! 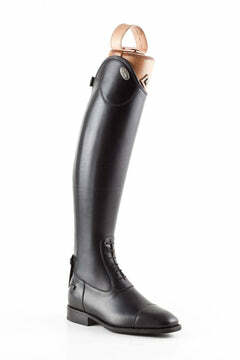 Write your 'Calf' & 'Height' measurements in the appropriate boxes and place your order. 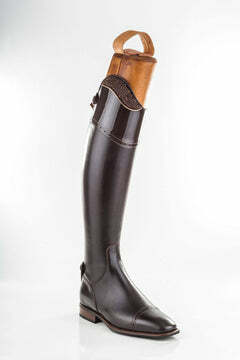 Once your horse riding boots have been hand-made in Italy, they will be posted straight to your door. Your happiness is our top priority. We offer industry leading customer support. Our measurement experts will check every measurement, making sure your order is correct. Our experts check your order every step of the way. We deliver to just about anywhere - you can expect the same high level service no matter your location. 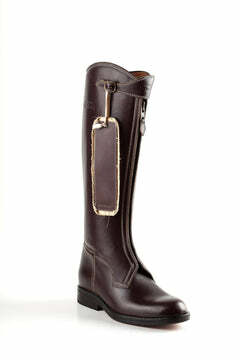 No hidden costs, the price of your boots includes all the trimmings and made to measure charges. 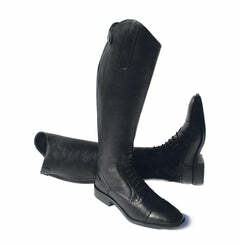 We can repair or alter any of our boots. 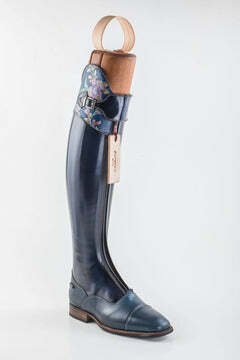 We have them looking like new in no time! 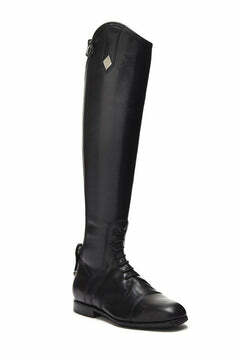 A beautiful new pair of dressage boots - ready for the competition season. "Simon thank you thank you thank you! They are gorgeous - perfect fit and so comfortable 😊😊😊😊😊😊. Can't wait till I am next out competing in a couple of weeks. 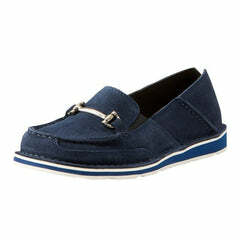 Love them ! ❤"
Here we will answer all the most commonly asked questions - please don't hesitate to use the Contact Us page if you cannot see the answer to your question here. 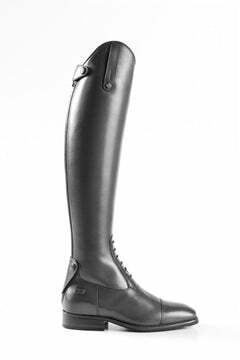 Due to the intricate nature of hand-making boots, we generally advise a wait time of between 8-10 weeks on all Made-to-Measure items. 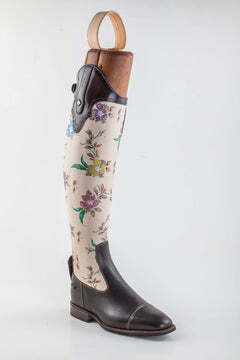 Each pair is carefully assembled in Italy by an artisan boot maker - it truly is a process not worth rushing! We certainly do! If your country is not coming up with a quote on shipping then feel free to drop us a message - we would be happy to help. 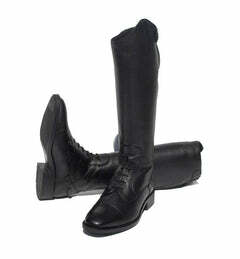 Delivery costs depend on which country we are sending your boots to. 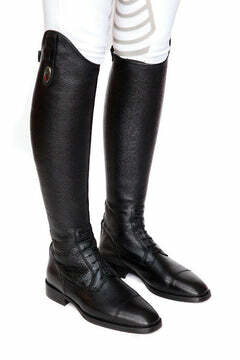 All of our made to measure riding boots are free postage to the UK. 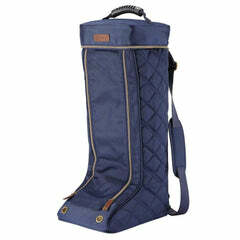 Our other shipping rates can be found found here. I need my boots in a rush - can you help? We do offer a premium rush service that guarantees production time in 15 working days (does not include shipping times) - please get in contact here for more information. 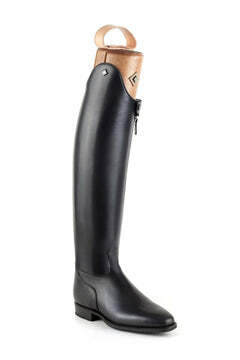 What warranty do the boots come with? 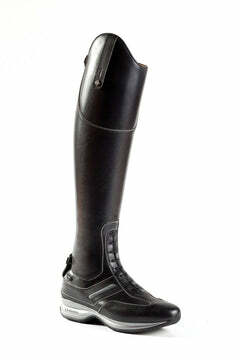 All of our De Niro boots come with the standard 3 month guarantee against any manufacturing faults. 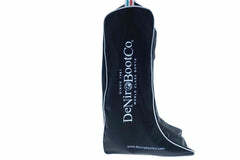 Furthermore, we add our own guarantee on top - if you have any manufacturing faults at all within a year we will repair the boots for free (not including shipping costs).